The SUNSYSTEM and BURNiT brands are product of NES Ltd. company. NES was established in Shumen, BULGARIA as a family owned enterprise. Its activity is production of appliances utilizing renewable energy sources. The staff amounts to 410 highly qualified professionals. The administrative, production and warehouse buildings are altogether ~ 31 000 m². 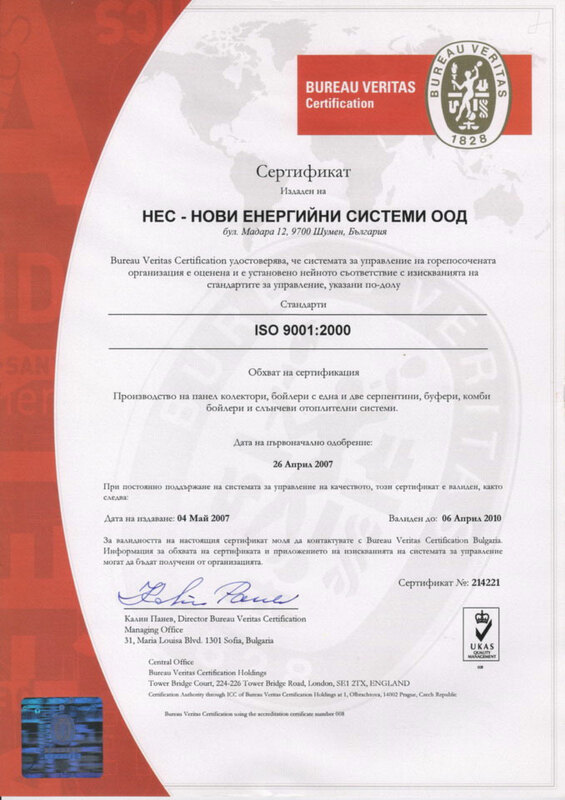 All company activities are governed by QMS ISO 9001:2008. We have a fully developed trade network throughout Bulgaria and partners in most European countries. NES is the first private-owned solar-thermal producer in Bulgaria and the market leader in this segment.